SAN FRANCISCO (CN) — A federal judge Thursday ruled that Berkeley’s mayor and former mayor must sit for depositions in the U.S. Postal Service’s lawsuit accusing the city of blocking the sale of the historic downtown post office building. U.S. District Judge William Alsup granted only in part the city’s motion for a protective order to prevent the deposition of 12 city officials, allowing the Postal Service to depose four of them. The Postal Service asked to depose Berkeley Mayor Jesse Arreguin, its former Mayor Tom Bates, nine current and former City Council members, and one Planning Commission member. Alsup limited the depositions to Bates, one planning commissioner of the city’s choice, and two City Council members of the Postal Service’s choice, including Arreguin, who was a city councilman when the council passed the zoning ordinance that the Postal Service claims obstructed the sale of the 102-year-old building. 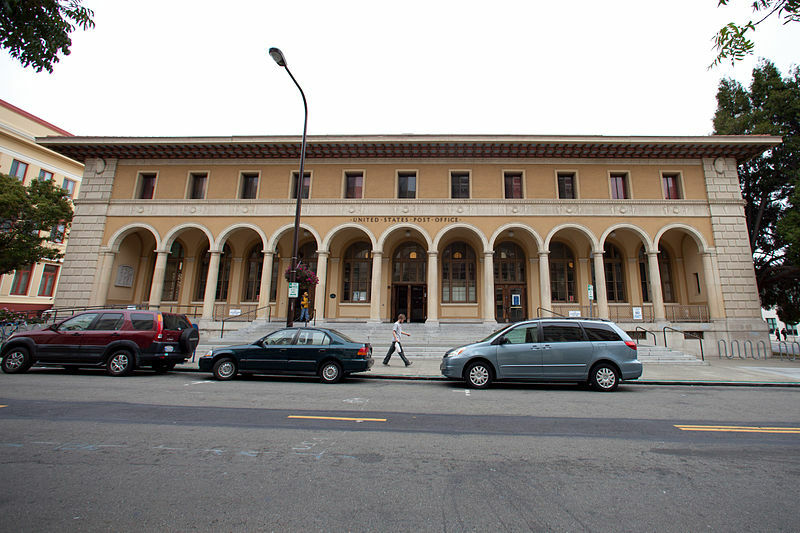 The Postal Service sued Berkeley in 2016, claiming the city interfered with the Post Office’s mandate under the Postal Reorganization Act to sell the building, by passing a zoning ordinance restricting it to civic and nonprofit uses. With fewer customers and shrinking revenue, the Postal Service announced plans in 2011 to close as many as 3,700 branches nationwide. As part of the cost-cutting, it said it would sell its main post office building at 2000 Alston Way in Berkeley, and move to a smaller site. The announcement met with backlash from residents who wanted to preserve the building. Acting on Alsup’s instructions, the Postal Service initially sought to depose 21 city officials to elicit their “thoughts and motives” behind the adoption of the ordinance, after former Mayor Bates told a local newspaper it was “a good way” to block the building’s sale. The Postal Service claims the city rezoned the area to scare away buyers, who have refused to pay market rates for a building with restrictions on commercial use. But Alsup on Thursday prohibited Department of Justice attorneys from asking officials about their intentions or motivations for passing the ordinance. He limited their depositions to the facts that led to its passage, their opinions about the land uses permitted by it, and communications between city officials and real estate brokers regarding the building’s value and its proposed sale. Berkeley is represented by Andrew Schwartz with Shute, Mihaly & Weinberger in San Francisco. Julia Berman with the Department of Justice represents the Postal Service. Neither Schwartz nor the Justice Department immediately returned requests for comment Thursday.